By default, Power BI Q&A will suggest some questions about your data. However, you can customize them as per your requirement. I mean, you can place your own set of questions based on your requirement. 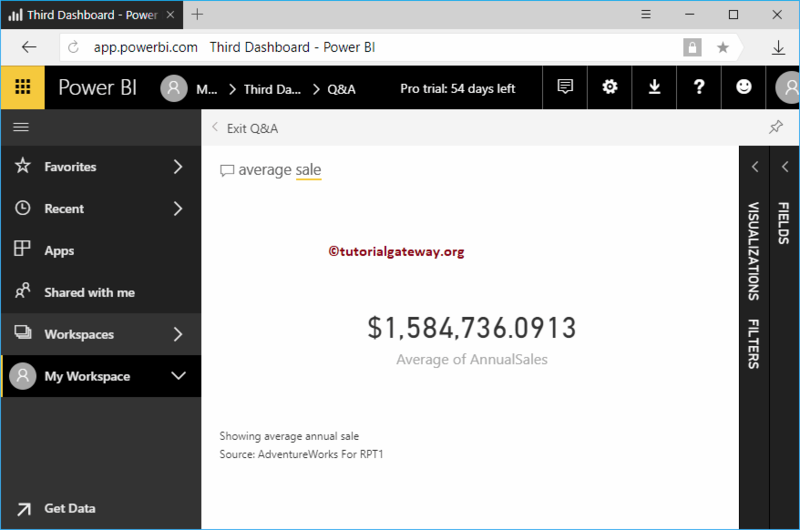 In this article, we will show you, How to Customize Power BI Q&A Suggestions with a practical example. TIP: I suggest you refer Q&A Introduction article to under the introduction part. 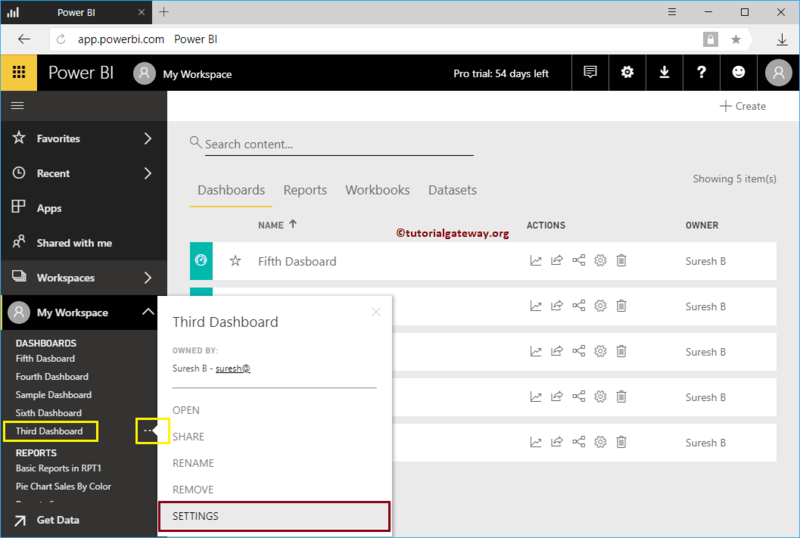 Within the Left Navigation pane, Go to the Third dashboard under the My Workspace, and click on the … button. Next, select the settings from the context menu. Selecting the settings option will open the following window. Go to the Datasets tab, and select the dataset that you want. 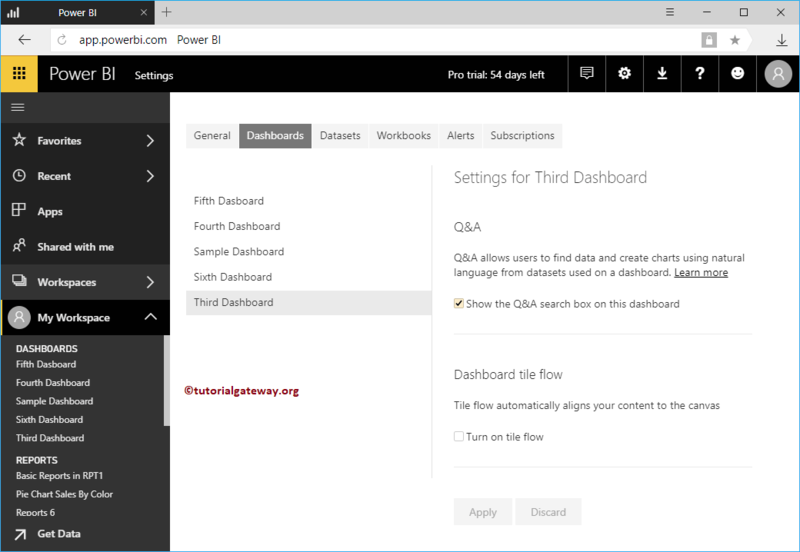 Next, expand the Featured Q&A Questions section. 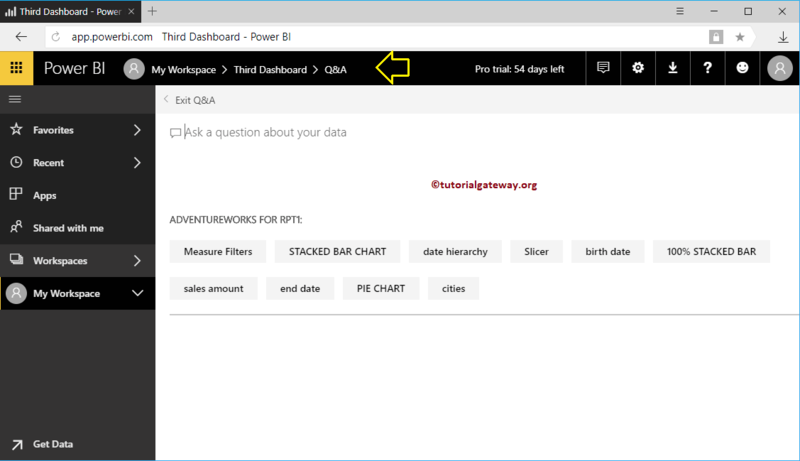 Add questions under this section is used to add your custom questions on this dataset. 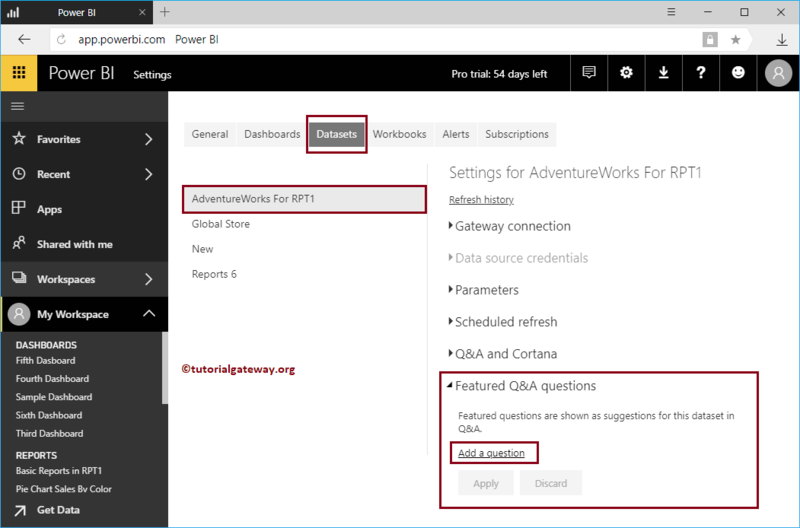 Once you click that Add a Question link, it will provide a text box to write your own question. Let me add another question too.